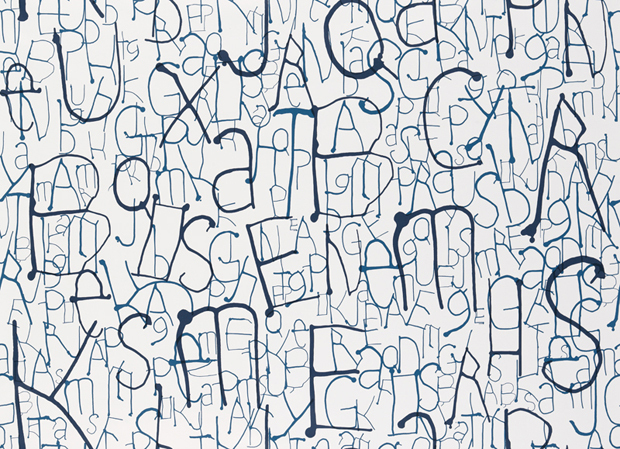 The “easiest”-looking designs are often the most challenging to actually produce, so before you look at Abbott Miller’s new ink-drip wallpaper designs for KnollTextiles and say, “my kid could do that!”, stop and consider the technique and graphic awareness hiding behind those supposedly haphazard patterns. Also consider that Abbott Miller is no art-school dropout off the street, but a partner at the design-rockstar firm Pentagram and a legend in graphic design. 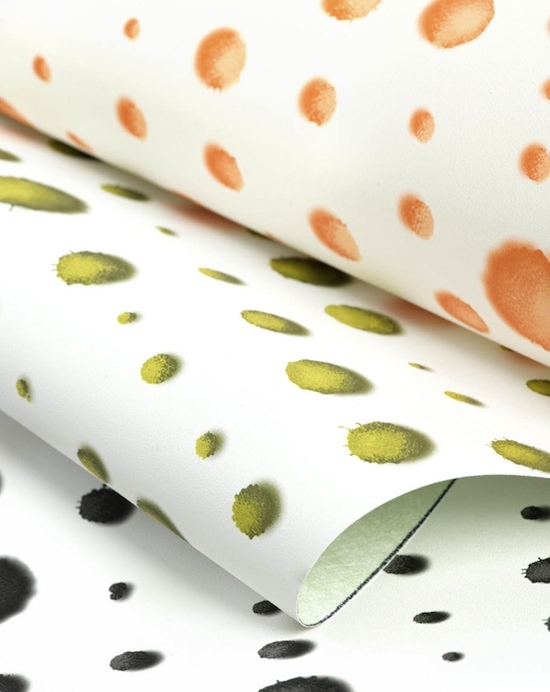 Starting with single drops of ink, he created hundreds of unique patterns to base his final three designs on, aptly titled Drip, Drop, and Run. 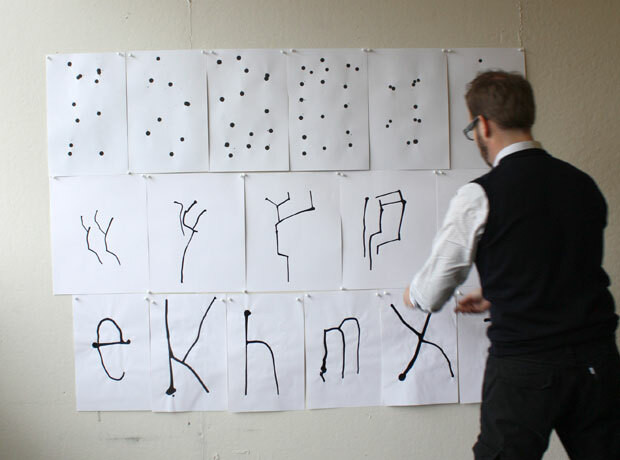 Drip playfully combines the chaotic, Pollock-esque ink drippings with the tightly controlled forms of typography into “a series of organic, interconnected letters, created by steering wet ink into letterforms,” says Pentagram. The result is whimsical enough for a kid’s bedroom, yet somehow classy and modernist enough for a design firm’s conference room, too, especially in the white-on-dark version. 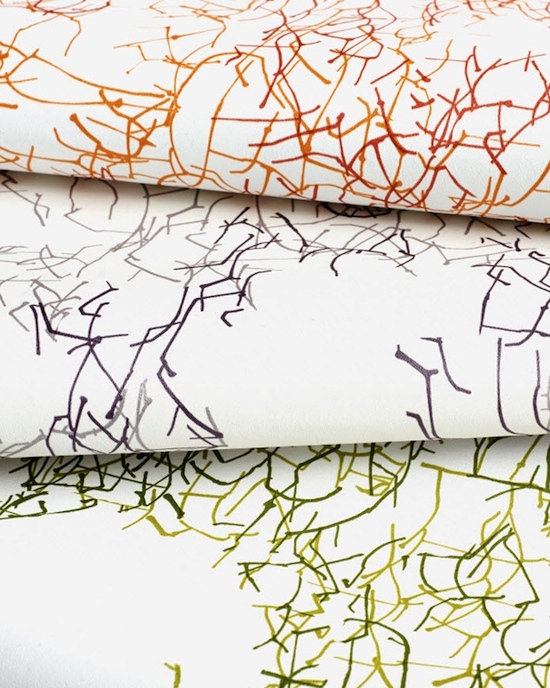 KnollTextiles intends Ink to be used in hotels, schools, and other commercial/institutional settings, but Miller’s patterns might also work in a certain kind of design-savvy residence.